A Land Full of God gives American Christians an opportunity to promote peace and justice in the Israeli-Palestinian conflict. It shows them how to understand the enmity with brief, digestible, and comprehensive essays about the historical, political, religious, and geographical tensions that have led to many of the dynamics we see today. 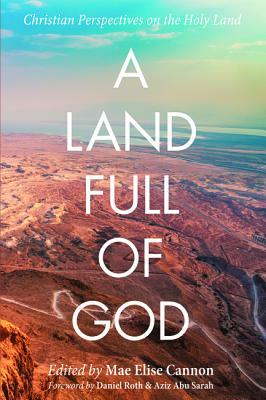 All the while, A Land Full of God walks readers through a biblical perspective of God's heart for Israel and the historic suffering of the Jewish people, while also remaining sensitive to the experience and suffering of Palestinians. The prevailing wave of Christian voices are seeking a pro-Israeli, pro-Palestinian, pro-peace, pro-justice, pro-poor, and ultimately pro-Jesus approach to bring resolution to the conflict. ""If you care about peace and justice in the land where Jesus lived and died, then read this excellent collection of thoughtful, probing essays from a wide range of viewpoints. The writers are scholars, pastors, activists, theologians, all struggling--from their vigorously different perspectives --to be faithful to the Prince of Peace. A good read that will leave you much better equipped to understand all sides and therefore work more effectively for just reconciliation in the Holy Land."" --Ron Sider, President emeritus, Evangelicals for Social Action Rev. Dr. Mae Elise Cannon is the executive director of Churches for Middle East Peace (CMEP); author of the award winning Social Justice Handbook and other books on spirituality and justice. Cannon has several masters degrees and earned her doctorate in American History with the minor in Middle Eastern studies from the University of California--Davis, focusing on the history of the American Protestant church's engagement in Israel and Palestine.